Specializing in integrative therapy, Joanna’s skills combine her training as an Occupational Therapist with Body-Mind Centering,® CranioSacral Therapy, and Healing from the Core. Body Journeys individual therapy sessions are for children and adults. Joanna accepts clients through self-referral and by referral from physicians and health care professionals. Connecting With Touch: Learn therapeutic hands-on skills to facilitate optimal healing support for the overloaded nervous system - a stressful fact for many children and adults in our fast paced world. Joanna teaches Full Body Presence Workshops at local, national, and international conferences. Full Body Listening is Joanna’s blog about Life, Healing and the Ecozoic. Recent posts include: I Am Full, World Class Continuing Education at Body Therapy Institute, Love in the Cosmos. Joanna Haymore, MS, OTR/L, Healing From the Core: Full Body Presence Certified Instructor, has a private practice as an occupational therapist using CranioSacral Therapy, Visceral Manipulation, Sensory Integration, and Body-Mind Centering® to work with children and adults. Joanna graduated from the University of North Carolina at Chapel Hill with a Masters in Occupational Therapy in 1994. She is a Registered Movement Therapist with the International Somatic Movement Education and Therapy Association and a licensed massage therapist NCBMBT #637. 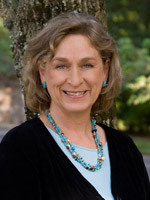 Ecologian Thomas Berry inspired her work as a creative editor and writer for the The Ecozoic Reader: Wisdom of Women. Joanna believes in the human potential to live lovingly with oneself, other beings, and the planet, and offers classes and individual work to help achieve that goal.